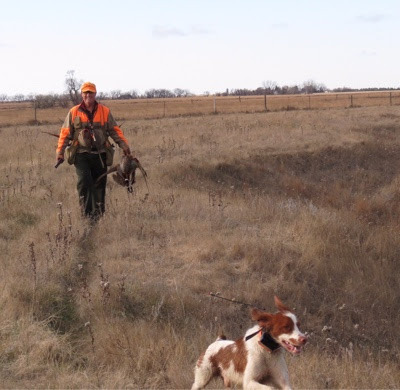 A Bird Hunter's Thoughts: How to do it. Where to go. How to find out. Traveling Wingshooters! How to do it. Where to go. How to find out. 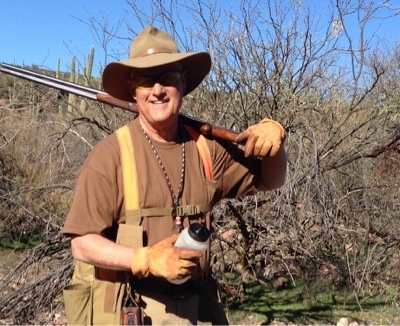 Traveling Wingshooters! So, the big decision's been made. You are finally leaving the same old tried and true, and you're heading out into the great unknown. It may be the other end of the state or the other end of the country- several states away. Gutsy move, my friend! It's a scary thing, for sure, but it needn't be. You can make it a lot easier on yourself and dogs, if you do a little (actually, a lot of) research before hand. Call the State Game People. They are DNR (Dept. of Natural Resources) in some states, Fish and Parks, Wildlife and Game, Moose and Goose. Whatever they call themselves, I've noticed a neat trick. For example, if I want to go to Idaho, instead of looking up the appropriate name for the game people, I merely type ID DNR in the Google search strip and it will come up, regardless of the actual name! It may not be the top one, but it'll be close. Makes it easy. Ask to talk to a warden/officer/game officer/? and explain you would like info about hunting (fill in the blank bird) in their awesome state! As a bonus, ask if you could talk to a game biologist who's also a bird hunter. (Oh yeah! We are cooking now!). These guys are great sources of information about where to go, but don't even think to presume they'll tell you where they personally hunt. I still hunt areas, recommended this way by biologists, from 15 years ago. It doesn't hurt to talk a little bird dogging with them, either. They are bird hunters, too, and members of the club! Ask your hunting friends on Facebook or other groups. One thing Facebook has done for me is expand my networking beyond anything I thought could happen. 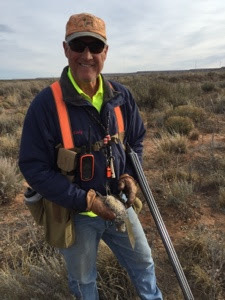 As a member of a few Facebook groups, I have access to thousands of men and women who hunt all over the 50 states. I've found that avenue to be full of promise. Again, most communication will be done off the main site via text or messenger and don't try to get the home covey information. (It's a sure way to get shut down.) Most guys are happy to help get you started and put you in a general area. When you find the area, call the local chamber of commerce. Yep, they have it happening and can direct you to motels, farmers that allow day hunting, guides, outfitters- all that stuff. In small towns, they know everyone and can steer you in the right direction. You'd be amazed at the number of hunting friends I've met through that connection. Here's a tip I use sparingly, but it reaps amazing rewards: call the County Sheriff. One year, I couldn't get anyone on the phone in a small town in North Dakota, hard up against the Canadian border. Finally, I called the Sheriff (number in the phone book). It rang his house! Long story short, he invited me to stay with him, and "you'll have more land to hunt than you can walk on a month", he told me. Just recently, trying to get info on camper hookups in a remote Montana town, I couldn't get anyone. I called the County Sheriff. My first words were, "Hi, my name is Randy Schultz, and this is not an emergency." I went on to explain my predicament and she (dispatcher) gave me 3 unadvertised camper sites with names and phone numbers (the best was water, power and sewer and showers for $10/night!). Like I said, though, use it sparingly and only in towns with no stoplights, pull-in parking and a Main Street Cafe.